Monsters are real. Find your breaking point. "Well, I just don't think there is anyone in this whole wide world that loves their babies as much as I love mine." Mary proved it to be true over and over by concealing Peter's abuse and misconduct. She spent years weaving a fantastic web of lies and built a beautiful facade to hide the true evil lurking behind closed doors. It was easy to see where her son learned his manipulative ways. Mary was a master of deceit, and Peter had a lifetime of training from his mother. Laura Bennett shares her experience with emotional, physical, and sexual abuse at the hands of real-life monsters. The harrowing tale offers an in-depth look at the horrors of domestic violence. Bennett's detailed accounts will haunt readers for a lifetime. 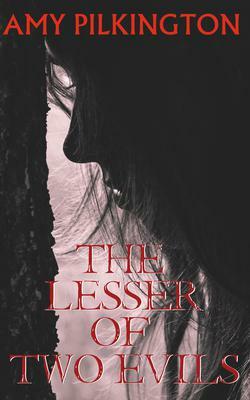 The Lesser of Two Evils is also a testament of strength and resilience, offering a message of hope for victims of domestic violence. The book is available for purchase on Amazon!